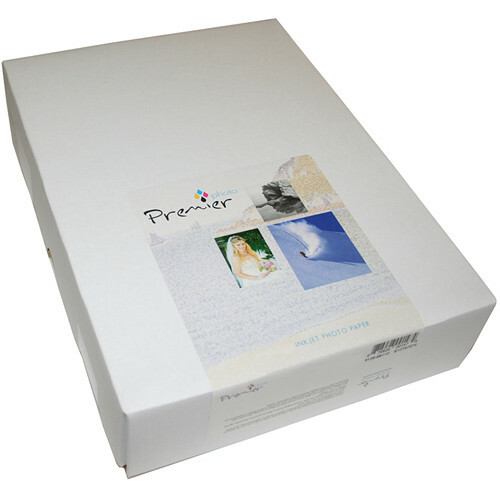 For general photo, signage, and display applications Premier Imaging has this 50-sheet pack of 8.5 x 11" Photo Satin Production Paper. This version has a low gloss finish on a resin-coated base with a basis weight of 180 gsm and a thickness of 8 mil. Additionally, it is water resistant and instant drying. Box Dimensions (LxWxH) 11.3 x 9.1 x 1.0"